President Donald Trump's former National Security Advisor H.R. McMaster listens during a luncheon at The White House in Washington, DC, on April 3, 2018. Last week, McMaster's father, H.R. McMaster Sr. died at Cathedral Village, a senior living facility in Roxborough. Authorities are investigating his death as suspicious. H.R. McMaster, Sr., the father of President Donald Trump's former National Security Advisor, Gen. H.R. McMaster, died in Philadelphia on April 13 and officials are investigating the incident as a suspicious death. McMaster died at 84 years old at Cathedral Village, a Presbyterian senior living facility on East Cathedral Road in Roxborough. McMaster had been placed there to receive care after suffering a stroke. The Philadelphia medical examiner’s office described to CBS 3 that McMaster's death was due to blunt impact trauma to his head. The Philadelphia Police Department Homicide Unit, the Philadelphia District Attorney’s Office, the Pennsylvania Attorney General’s Office, and the Department of Health are all investigating. Philadelphia Police executed a search warrant at Cathedral Village on Tuesday. The Pennsylvania Attorney General’s Office is investigating the death as an institutional pattern of neglect at Cathedral Village. “We want to reassure you that the safety and welfare of every resident at Cathedral Village remain our utmost priority and we will continue to make every effort to ensure their well-being,” Cathedral Village said in a public statement. The facility said they contacted authorities as soon as they heard about the incident. “We are working closely with the Philadelphia Police Department to thoroughly and carefully review this tragic incident,” the Pennsylvania Attorney General’s Office said to 6ABC. H.R. McMaster Jr, 55, was raised in the Roxborough neighborhood of Philadelphia. He attended grade school at Norwood Fontbonne Academy, a private Catholic K-8 school in Chestnut Hill, and graduated from Valley Forge Military College in 1980 and the U.S. Military Academy at West Point in 1984. McMaster resigned last month as Trump’s national security adviser. He first assumed the role on Feb. 20, 2017, after the resignation of Michael T. Flynn. 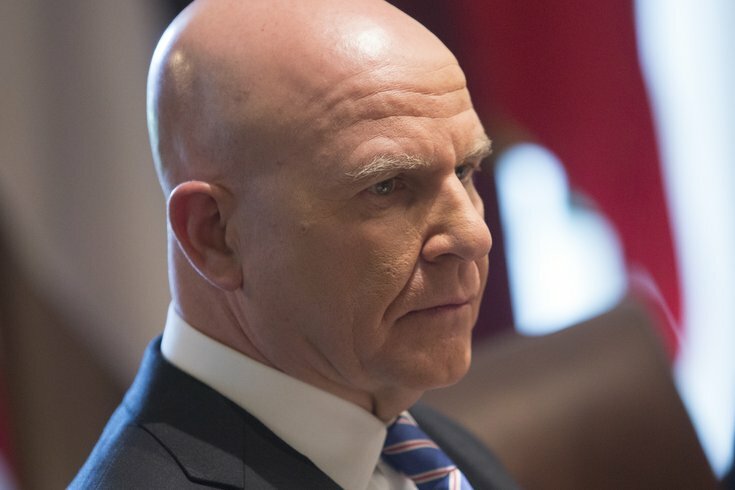 McMaster’s last official day in the position was April 9.